This is a stretch, but please keep in mind that it’s Friday and the week’s supply of gossip is running dangerously low. 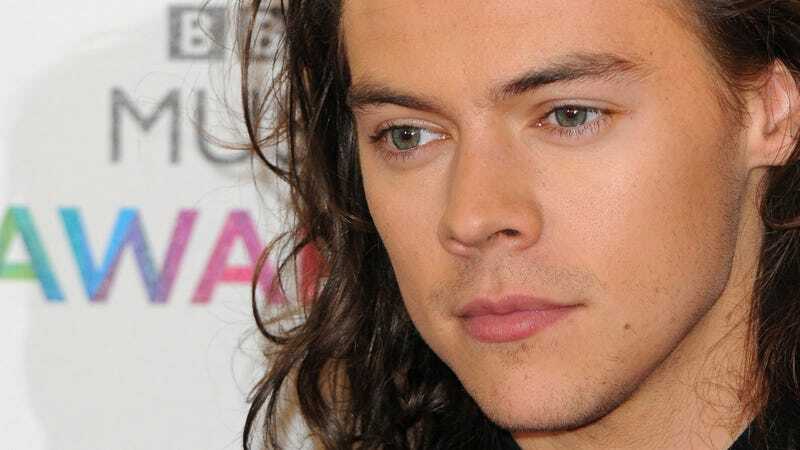 So, we all know Harry Styles is releasing his first solo album next month. He dropped the lead single last week (which is fine), is doing major promo for his appearance on SNL this weekend (the man’s a charmer), and unveiled the album’s tracklist and cover art yesterday (it’s just him, shirtless, from the back, perhaps in a tub?). While I thought very little of the news, the more observant Styles stans among us noticed something sort of interesting in the track list: a song called “Ever Since New York.” Now, this could easily be nothing but a song about how “Ever since New York” he’s missed getting a cup of cart coffee every morning, or “Ever since New York” he’s had bedbugs, but due to its syllabic similarities to his ex-girlfriend Taylor Swift’s “Welcome to New York” (and the fact that she wrote a song about him on 1989), there’s a chance it could be a reference to Swift. Will it be a diss track? Will it be a proclamation of love? We’ll find out May 12. Despite rumors to the contrary, TMZ reports Friday that Kanye West will not—absolutely WILL NOT—be performing at Coachella this year. “Multiple sources” have confirmed the news, so it looks like his “comeback” will occur at a later date. Though Hollywood Life reported West backed down after Kim Kardashian begged that he not perform for the sake of his health, Gossip Cop claims that’s probably a bunch of bologna. Kendall’s gonna be there, though. So that’s something. The answer is not “by telling people how he made himself look less attractive,” somehow.